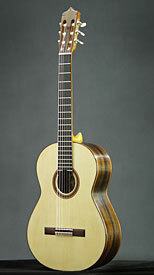 The top wood does not affect the price, only the back and side woods and tuners chosen. Shipping cost is not included. 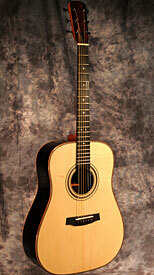 Prices range from $6,500.00 to $10,000.00 depending on the back and side woods used and tuners chosen. Second Day Air; either FedEx or UPS within the continental U.S. at current rates. I require half down when I begin the guitar and the balance upon completion of your instrument. Sometimes a time payment plan can be arranged. Please inquire for more details. Payment is accepted by certified check or credit card. My guitars are guaranteed for the life of the original owner against material or workmanship defects. Any needed repair will be done free of charge. Shipping will be paid one way. I, Dake Traphagen, reserve the right to decide whether the guitar was abused or mishandled in any way to make this warranty invalid.